Shawn Ogbebor, 21 year-old from Spring Valley was arrested on February 18th for driving while intoxicated and operation of motor vehicle with BAC of .08% or more. A Sheriff Patrol Officer observed Ogbebor operating a vehicle on Route 59 in an unpredictable manner. The subject was found to be intoxicated and was sent to headquarters in New City. He was released on summonses but will return to the Clarkstown Justice Court. Francesco Macri, 21 year-old from Nanuet, was arrested on Sunday for criminal possession of marijuana in the fourth degree. A Sheriff Patrol Officer stopped Macri for a traffic violation on South Little Tor Road in New City. The officers found a large bag of marijuana in his possession. He was brought into headquarters and released on summonses to return to the Clarkstown Justice Court. A 26-year-old Haverstraw resident, Melissa Sanchez was arrested for aggravated DWI Saturday morning. A Sheriff Patrol Officer observed a vehicle on 9W operating in an erratic manner. It was confirmed after sobriety tests that the driver, Sanchez, was intoxicated. She was arrested for DWI. At headquarters, it was determined that her blood alcohol content was above .18%, making it aggravated DWI. Sanchez was released on summonses and will return to the Clarkstown Justice Court. At 2:53 p.m. on Friday, February 24 the Clarkstown Police Department received a report of a suspicious device found inside the Tappan Zee Manor Nursing Home located at 51 Mountainview Ave in Central Nyack, NY. An extensive search of the building was conducted and 1 training hand grenade and one metal hand grenade were found in the refrigerator of a 91-year-old male resident who is currently out of the facility for medical treatment. A cautionary sweep of the residents vehicle was also conducted and no devices were found at this time. The Rockland County Sheriff’s Bomb Squad removed the two devices and they will x-ray the devices to see if they were live grenades. They appear to be World War 2 era devices. All residents have been returned to the home and the incident is all clear at this time. Julianna Desantis, 28 year-old female from Scarsdale is wanted by the Clarkstown Police for larceny and possession of stolen property. She is white with blonde hair and blue eyes and is 5 feet 2 inches tall. If you have any whereabouts, contact the Clarkstown Police at (845) 639-5880. The Stony Point Police are searching for Ereidis Pena, a 24-year-old male from Stony Point. Last Thursday night, Pena allegedly stabbed someone he knew in the arm on Buckberg Road then fled the scene. The victim is currently being treated at Nyack Hospital. Anyone with whereabouts is asked to contact the Stony Point Police Department Detective Bureau. Gonzales, the girlfriend of the suspect in an armed robbery-assault investigation, Ereidis Pena, was looking for Pena’s phone at the scene of the crime and it is believed that she was assisting him with crime. She was processed and remanded to the Rockland County Correctional Facility and placed on $5,000 bail. 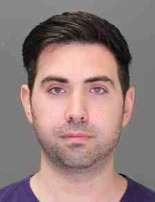 The Suffern Police arrested a 30 year-old man from Spring Valley early Monday morning for aggravated DWI. The officer observed a vehicle driving unsteadily on Route 202. Upon investigation, it was determined the driver was intoxicated. He was transferred to headquarters and his breathalyzer had his BAC 3 times over the legal limit. He was released on bail and is pending a future court date. Ramapo Police responded to Monsey on a call of a disturbance. A male and a female were involved in an argument and were separated by officers. Officers noticed the male to have a deep laceration. Upon investigation, the officers found an edged weapon. The 19-year-old female suspect from Pomona was arrested and will be charged with felony assault and weapon possession. This incident with be investigated further by the Ramapo Police Department. 32-year-old Daniel Dibenedetto is wanted by the Ramapo Police for criminal possession of a controlled substance in the 7th degree and possession of a hypodermic instrument. The charges stem from an incident in Airmont in 2016. Anyone with his whereabouts is asked to contact the Ramapo Police. Tuesday morning, the Ramapo Police arrested a 26 year-old male from Pomona for driving his vehicle off the road while intoxicated. Police responded to a one car motor vehicle accident on Ewing Avenue. Officers determined that the vehicle was travelling at a high speed on a sharp turn when the driver lost control, struck a guard rail, crossed both traffic lanes and then struck a curb on the opposite side of the street. The driver attempted to flee the scene but the car was so badly damaged it couldn’t steer. The driver then crossed over both traffic lanes again, went off the road a struck a dirt mound where the car finally came to rest. The driver and the passenger received minor injuries. After investigation, it was determined that the driver was intoxicated. He was arrested for DWI and will appear in court on March 2. The Orangetown Police arrested Mark Hauser (24 year-old from Nyack) on February 20th for grand larceny in the 4th degree, conspiracy in the 5th and three counts of criminal possession of a controlled substance in the 7th. It is alleged that Hauser entered Lowes Home Improvement in Orangeburg numerous times over a one week period and stole over $1,000 of items. Hauser was located by police on Sickles Avenue in Nyack where they found him to be in possession of a quantity of alleged Heroin, Xanax and Zubsolv. He was transported to headquarters and will be placed on $10,000 bail. 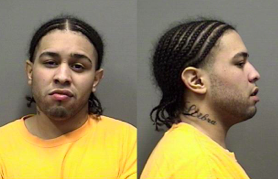 On February 23, the Orangetown Police arrested Trey Pinard (24 year-old from the Bronx) for grand larceny in the 4th degree and theft of Service. It is alleged that Pinard rented two rooms in 2015 at the Dolce Hotel in Palisades, ran up two bills that exceeded $3,000 and never paid for them. Pinard was located by police and sent to headquarters where he will be placed on $10,000 bail. The Orangetown Police arrested 34-year-old Zhoubin Yang of Nyack on Saturday for attempted petit larceny. Yang allegedly entered an unlocked car that was parked on Franklin Street in Nyack and was attempting to steal property from inside. The owner of the vehicle and his friend observed the incident and chased Yang down. They were able to detain him until police showed up. Yang is due in court on March 14th. The Orangetown Police arrested Matthew Smahaj (25 of Garnerville) Saturday morning for driving while intoxicated and aggravated driving while intoxicated. Police responded to a motor vehicle accident on North Middletown Road in Pearl River. Upon speaking with Smahaj (the driver of one of the vehicles) the officers noticed his slurred speech and the smell of alcohol coming from his breath. Smahaj failed numerous sobriety tests and was transported to headquarters for further testing. His breathalyzer showed that his blood alcohol content was three times more than the legal limit. He was released on bail and will return to the Orangetown Justice Court on April 4th. On Friday February 24, the Orangetown Police arrested an 18 year-old from Franklin Square, NY for criminal mischief in the 3rd degree. The officer on patrol saw the male pick up a rock and throw it through a store front window on High Avenue. He was transported to headquarters and will return to court on March 30th. A second criminal mischief arrest was made on Sunday, February 26th. The Orangetown Police arrested John Pedrosa (26 year-old from Newburgh). Pedrosa was on Burd Street in Nyack and struck a window causing it to break. He was transferred to headquarters and will return to court on March 21st.